A Wisconsin woman who posed as an Uber driver to rob passengers in Old Town and River North last November is going to prison. 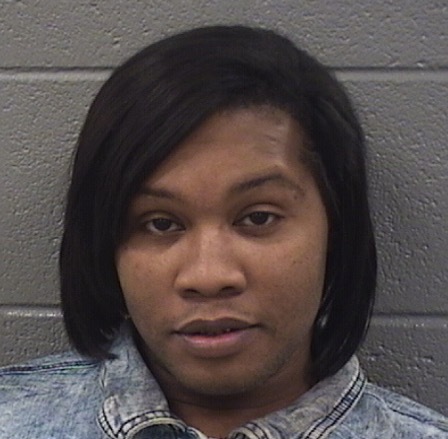 Posing as a rideshare driver, Nytina Raymond picked up a man outside of Old Town Pour House, 1419 North Wells, early on November 4th. Police said one of two teens who were also in Raymond's car pulled out a gun and demanded the victim’s phone and wallet. Yesterday morning, Raymond pleaded guilty to that crime and another similar robbery the same night. Judge Timothy Chambers sentenced Raymond to three years with 130 days credit for time served on each count. The sentences will run concurrently. Both teens were charged with robbery in juvenile court, but information about their cases is shielded by law. Raymond’s 24-year-old victim was released after she and the teens successfully withdrew money from his account at a Chase ATM in the 1500 block of North Kingsbury. Town Hall cops tracked transaction information from the man’s credit card company to find Raymond and the juveniles at a Walmart store in Niles about two hours after the hold-up. Investigators later connected Raymond to another robbery the same night in River North. About an hour before the Old Town victim climbed into her fake Uber, another man got into Raymond’s car outside of an Italian restaurant in the 200 block of West Grand, police said. Raymond then punched the victim in the face and robbed him of $100, his phone, and credit cards, according to charges. You can count on CWBChicago to follow the stories you care about from arrest to trial. Please support our work by becoming a member. You'll be thanked with exclusive reports and services all year long. Click HERE.